Adequate medical care is a serious problem in rural and urban areas of Nepal. People often go years suffering from illnesses or discomforts that can be easily cured with basic medical care. Unfortunately, it is difficult to get to hospitals or clinics in the larger cities of Nepal - villages are a few days’ walk from the nearest road, and many villagers have no money to take the bus. How you can help if you in the process of becoming or are a medical professional, then your skills can be highly impactful in a rural Nepalese village. As a medical volunteer, you will be bringing the medical care to villagers in the form of temporary health campsites set up in remote countryside. You will have the opportunity to carry out basic health or dental checks. What to expect please note that working as a medical professional in Nepal may be very different from your experience in your home country. Medicine names, practices, and cultural expectations will vary and volunteers must be adaptable. Moreover, language barriers will pose as another difficulty. However, volunteers state that these challenges oftentimes enhance the experience of working as a medical volunteer and allow them to gain a valuable skill set. Himkala Adventure will arrange a medical volunteer program based on your skill sets and interests. Volunteer placement will be in the Gorkha region of Nepal, the epicenter of the 2015 earthquake. Depending on your specialty and skill level, you will be assigned to different areas of the Gorkha region. Doctors, nurses, medical assistants, and medical students are welcome. 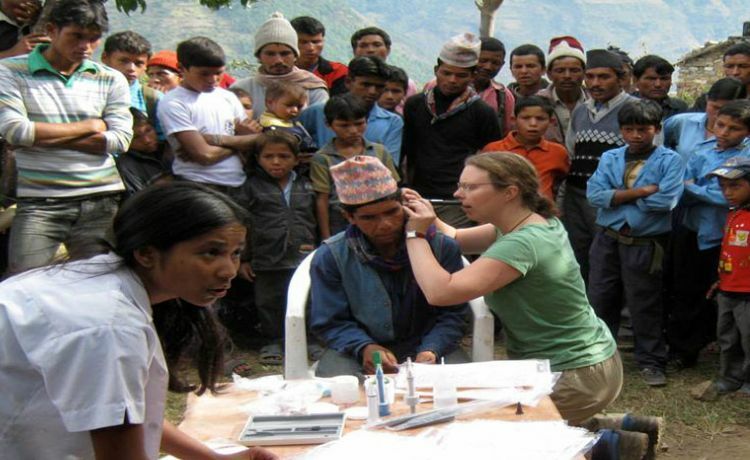 Join Himkala Adventure in providing much needed medical care for the rural Nepalese! Note: Volunteers who would like to conduct free health camp in Namjung village at Gorkha are requested to bring all necessary medicines and equipment by their own. Himkala Adventure is to support and manage everything necessary in their support only. All the costs for the accommodation and health camp should be paid by themselves.